Steps is a fitness app which can track your steps throughout the day, set a goal and offer professional fitness guidance for you. And its “Activity” page has been designed with an excellent interaction that the color and data of the display area located upper a column chart will change correspondingly when you click any data in this chart. In Mockplus, you can easily achieve this by choosing a “Set Color” command for a Shape component and a “Set Text Color” command for a Label component. 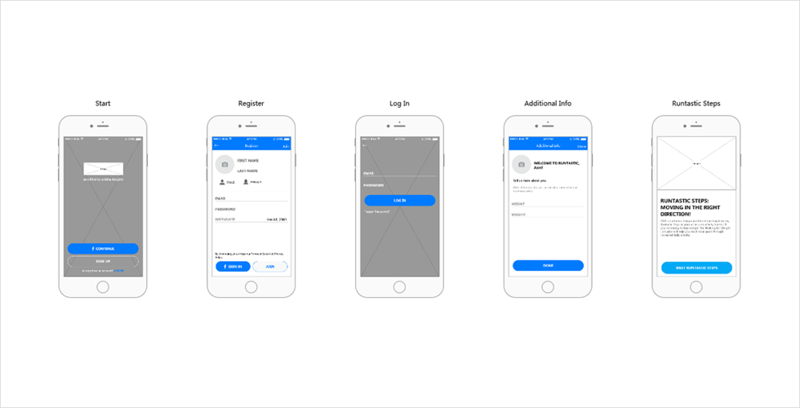 Pages of this prototype: Start, Home, Log In, Sign Up, Activity and Profile, etc.